Are you looking for a program to help you shed those unwanted pounds? The Dr. Oz 90-Day Diet has been featured in many public arenas such as The Oprah Winfrey Show. It is Dr. Oz's prescription for health and well-being. This program is based on nutritious food choices and moderate physical fitness with a few twists. What Is the Dr. Oz 90-Day Diet? Officially titled "The 90-Day Live Longer, Feel Younger Plan", this diet program focuses on healthful lifestyle changes. The first area of change is nutrition, specifically what to avoid putting into your body at all costs and what to include regularly to your daily or weekly dietary intake. The second and equally important component to Dr. Oz's strategy is physical activity, which includes cardio, strengthening, toning, and stretching. Sugar: According to this diet, white sugar alone is one of the main reasons people crave sugar and sweets on a regular basis. It is best to combine sugar with fiber, such as jam on whole grain bread. When combined with complex carbohydrates, protein, and/or healthy fats, sugar absorption is regulated and cravings kept away, since insulin reaction is more moderate. 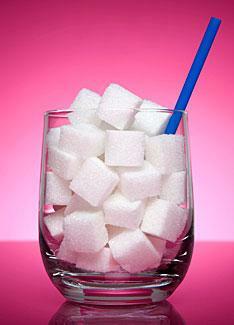 High fructose corn syrup: Biologically, high fructose corn syrup blocks the function of a hormone called leptin. This is not advantageous to the body, because leptin is responsible for appetite control. White flour: Otherwise known as enriched wheat flour, there is no nutritive value to white flour. It is a highly refined, processed food ingredient stripped of any benefits available in the whole grain from which it originated. It is critical that dieters choose whole wheat and whole grain foods for fiber and other nutrients, including essential B vitamins. Saturated fats: Saturated fats come mostly from animal products. This includes meat as well as dairy products. These foods also contain dietary cholesterol. Other sources of saturated fats include fried foods and some baked products. Plant-based sources include palm oils and coconut oil. These are extremely detrimental to the arteries and heart muscle. Hydrogenated fats: When various fats undergo a process of hydrogenation for longer shelf life and preservation, trans fats are formed. Dr. Oz maintains that these trans fats are as dangerous to the arteries and heart muscle as saturated fat. Pomegranates: One of the newest "health" foods to hit supermarkets and restaurant menus, these fruits are loaded with antioxidant properties to ward off cancer and the effects of aging. Look for whole pomegranates for their nutritious seeds or 100 percent pomegranate juice. Spinach: Jam-packed with an antioxidant called carotenoids, this green leafy vegetable fights off macular degeneration, a common ailment of aging. Spinach is also loaded with folic acid important for brain and organ function. Tomato sauce: Dr. Oz makes it clear that dieters need to consume 10 tablespoons of cooked tomato products each week. The reason behind this somewhat odd prescription is the well-studied positive effect of lycopene against free radical damage. 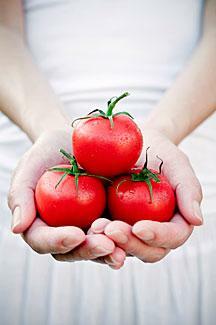 Lycopene is also known for its ability to protect against prostate cancer in men. Garlic: In addition to its role in supporting good intestinal bacteria, there's evidence to suggest that garlic may reduce the risk of many cancers and promoting healthy arteries. Dr. Oz has clear recommendations regarding getting active. In this diet, it is mandatory for you to walk 30 minutes a day. He also advises yoga and strength training. In fact, he claims that, for good health, a 30-year-old female should be able to do 45 bent-leg push-ups while a 30-year-old male should be able to do 35 traditional push-ups. You may be wondering about why this diet isn't focused on weight loss. Indeed, Dr. Oz's 90-Day Diet is not only about shedding extra pounds. It is much more focused on anti-aging regimens and overall disease prevention. However, there is a direct underlying theme related to weight loss. In fact, Dr. Oz's idea here is not to present a diet, as in a quick fix fad. His approach is more about eating well, with weight loss simply a natural result. By eliminating many high calorie foods, such as saturated fats and hydrogenated fats, you will reduce caloric intake. Since weight loss is all about giving your body a deficit of calories, yet still providing the nutrition and energy it needs to run smoothly, Dr. Oz's guidelines will do just that. However, this is not by any means a rapid weight loss plan. Instead, it is slow, steady weight loss. It is also an extremely safe and harmless program to follow for virtually everyone. 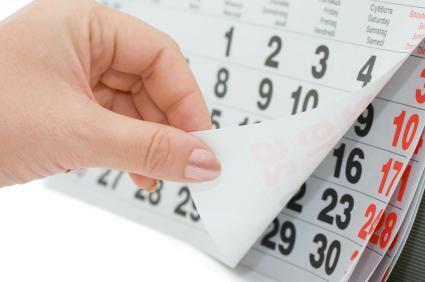 Be sure to check with your physician before starting any diet or exercise plan, however. For more diet information from Dr. Oz, you can also check out his book, You: On A Diet.